Indoor air pollution often results in severe allergies and respiratory problems. For overcoming health-related challenges, it is extremely important to invest in a high-quality air purifier. They are crucial for avoiding the long term side-effects of indoor airborne pollutants. High-quality air purifiers reduce the exposure to dust, dirt and other contaminants present in the air inside our homes and help us lead a healthy lifestyle. The outer casing of air purifiers is mostly made of high-impact polystyrene or polypropylene. It is a highly stable material and can be used efficiently in any environment. For taking good care of your purifier, keep checking for cracks for the outer surface of the purifier and contact the supplier immediately if any cracks exist. Pre-filters act as a support system for HEPA filters. They eliminate the larger dust particles and reduce the burden on the main filters. For extending the lifespan of pre-filters, keep checking the system for clogging on a regular basis. HEPA filters are designed to extract all kinds of pollutants from the air. They trap the unwanted particulate matter permanently. When the dust accumulation crosses a certain threshold, it starts affecting the efficiency of the purifier. Most smart air purifiers available these days have a pre-installed alert system. They inform the users whenever HEPA filters are to be replaced. These filters are meant for trapping or absorbing the chemicals present in the air. They tend to become inactive after a certain period of time due to filling up of all the pores in activated carbon sheets. For maximizing the efficiency of your purifier, you should keep replacing the sheets on a regular basis. Alpine Air Purification System specializes in providing high-quality air purifiers for residential and commercial settings. They offer a large variety of options to choose online living air purifier parts. 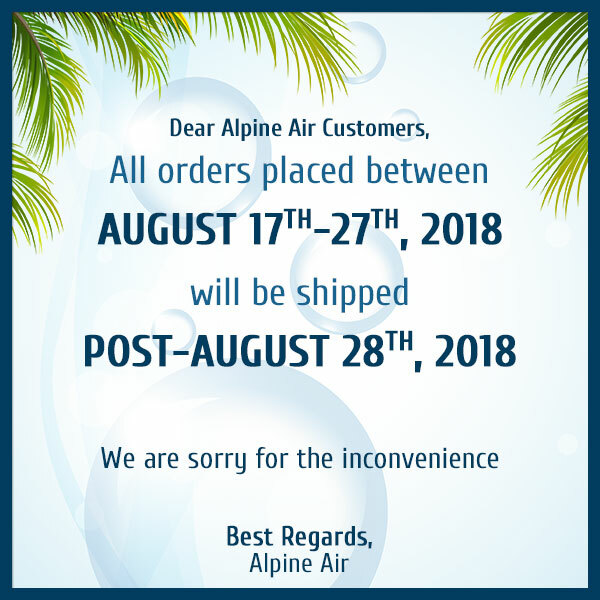 If you want to buy air purifier parts online, Alpine Air Purification System is a good way to go. Previous: Why should you buy commercial air purifiers?